When we saw Emma fight Maleficent (in dragon form) it brought back a very familiar scene from the Disney cartoon Sleeping Beauty. Take a look at side by side pictures from the Disney cartoon and Once Upon A Time. 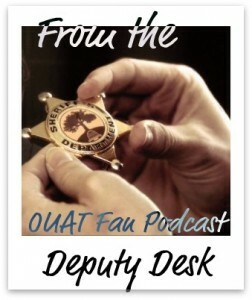 This entry was posted in Once Upon a Time Blog and tagged disney, dragon, Emma Swan, Maleficent, once upon a time, sleeping beauty on June 12, 2012 by deputies.